Thanks again for speaking at the conference. We all loved you, and the evaluations were outstanding! Several individuals noted that you are the best speaker they have ever heard, and I would have to agree with them. 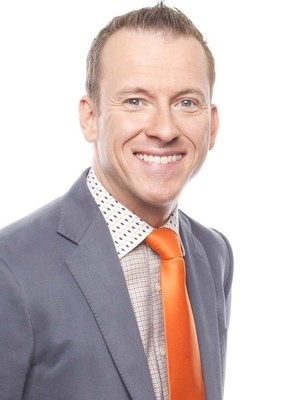 Ron Clark is able to captivate an audience unlike anyone I've ever heard before. I watched an audience of 650 sit spellbound as he shared his struggles and triumphs as an educator. Anyone who hears him will feel rejuvenated and inspired. I have been in the education business a long time. I have never heard anyone as engaging & enthusiastic as Ron. He was funny, touching, poignant, and moving. I believe we all wanted to hug him and I believe he would have let us! He was a joy to be around. Unbelievable! I cannot tell you the energy that was in my school the very next day. I had teachers dancing in the classrooms on Friday morning. He was fabulous and entertaining. My teachers enjoyed him and it made me want to get back in the classroom. It was great! And he was great!! Our staff was so energized by his speech! As one teacher said, we always take care of the 'how to teach' but this time we took care of our souls. He was wonderful and everyone just loved him. They have been talking about him all week. We were very impressed, especially with the wonderfully personalized book signing time. Thanks so much! Your experiences and discussion at our Summer Choice Institute on "The Essential 55" were inspiring for teachers and administrators, and the information you provided on making a change and touching each student was encouraging and motivating to all. Our audience was motivated by your speech. You scored very highly on the post-event evaluations & we have been told that you were the highlight of the conference. You are an inspiration & a man of great vision and calling. Thanks for sharing both with us! By a variety of measures, the GAEL Winter Conference was an outstanding success. Thank you for your contributions to this important leadership development activity. Without question, your presentation was one of the highlights of the event! It was fabulous!!!!! Everyone said that having Ron and then Kim was the best year ever. Kim also conducting a breakout session for middle and high school language arts teachers--that was terrific. I will definitely be seeking your help for next year. Ron was AMAZING!!!! Our Chamber of Commerce CEO/President sent me a note that stated, ". . . this was a first-class affair . . . I can count on one hand the truly great events I've attended and this is one of them. . . . "
WOW!!! Ron was great! I wish every teacher in the country would have a chance to hear him, especially just before the school year starts. His message was a great reinforcement for what I was trying to share with my teachers. It was exactly what I wanted for our MECA membership to hear and experience. Ron's content was outstanding and his high-energy, comical but impactful keynote was FANTASTIC. The crowd really seemed to stay engaged and be in sync with many of Ron's points. Ron's presentation met our needs exactly. His message was crystal clear to the students, as well, and I believe they understood that their parents and teachers were on their team and working to help them succeed. Ron was by far one of the most powerful presenters my staff has ever had the opportunity to hear. The staff members are still talking about it and discussing ways in which they can implement some of the strategies he mentioned. It was amazing! Worth every penny! He delivered the proven philosophy of grabbing a student's attention with sound reasoning and innovative skills. Having been through tough times before, he had nothing to lose by putting himself out there to the students. He was outstanding. His book "The 55 Essentials" has been read by my family members and it has made a difference among us!!! Thanks for spending the money it took to get him here!!!! We are better because of the lessons and rules he teaches. I thoroughly enjoyed Ron. His entire speech was very motivating and uplifting. There was never a dull moment! He is funny, innovative, AND can dance?#@! I can't let him out do me with that dance called the "Nae Nae." LOL! What can I say about Ron Clark's outstanding presentation to 1,300 Pottawatomie County, Oklahoma teachers, administrators, and support staff Monday, August 8!! From start to finish, he was inspirational in every way with such a personal, relevant, direct, and highly entertaining speaking style. Rarely are so many people equally inspired by a speaker, but the feedback was unanimous, Ron Clark knocked it out of the park. Honestly, how can one person accomplish so much with one presentation? But Ron Clark did .and we are thankful! Ron was unlike any speaker we have had in 12 years of producing the event. His energy, comedy, passion and message resonated with every person in the room. I highly recommend him for any audience. We couldn't have asked for a more inspiring, energizing, relevant opening to our school year! He is an authentic role model for educational leadership, and he speaks with an amazing authority and command of what really happens in today's schools. 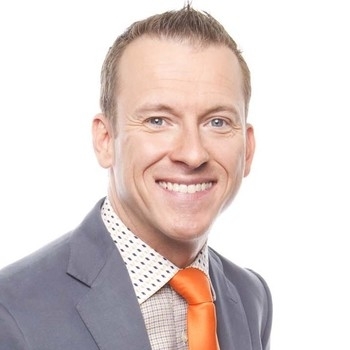 Ron Clark welcomed back and energized the employees of the Scottsdale Unified School District for the 2018-19 school year. He reminded all of us that students come first and that we need to work hard each and every day to promote positive interactions and engagement in order to be successful academically. Bringing Ron Clark to visit Apopka and speak to nearly 900 teachers and administrators was like passing out mega doses of B-12! All of our teachers raved about his presentation and left inspired and rejuvenated! They laughed, they cried and they laughed UNTIL they cried! Thank you, Ron, for doing what you do best .inspiring other educators to step outside their comfort zone and take teaching and learning to the next level!